“Young Love Lost,” by Doug Burris, is a story about a high school romance that begins when David Jennings meets Mary Roberts on the beautiful beaches of Emerald Isle, North Carolina. David encounters Mary on the last day of his family vacation. Though time is scarce, they feel the romantic spark immediately through their common interests in classic novels and the outdoors. When David returns home, he can't get Mary off his mind. Mary thinks of David, but her friends persuade her that he is too good to be true. In addition to romance, family dynamics also play a big role in "Young Love Lost." The plot of "Young Love Lost" brings the reader on a wild ride that takes unimaginable twists and turns that are only resolved at the very end. The strength of “Young Love Lost” is most definitely the descriptive writing, which perfectly captures the essence of young love. 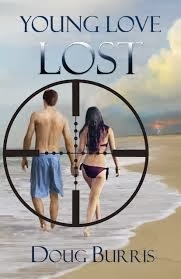 If you're someone who likes suspense and action with your romance, then "Young Love Lost" is the book for you.